It’s almost spring time, a time when young men’s minds skip to flights of fancy and other stuff like that. Point is, we still haven’t found Watson, whose mind skipped to something with a lot of nachos and cheese in a far off land. 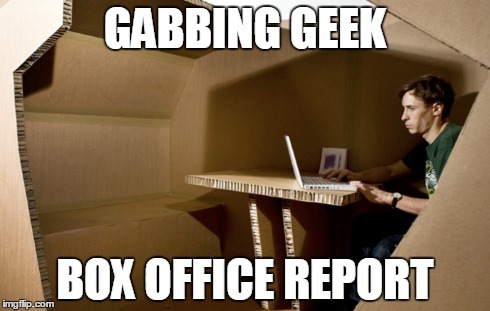 Time for the box office report. Sorry, Admiral, it is not. Once again, there was no podcast this week. Furthermore, both of our regular readers may have noticed that there’s been a continuous drop-off in the number of daily published articles. Does this coincide with the advertising that mysteriously appeared? I dunno. Maybe. But apparently, whatever made Watson disappear has become contagious. Although Gabbing Geek tends to cover more traditional geek fare we’re also dedicated to geeky subjects of all kinds. My geekiest obsession that falls outside the expected movie, comic book, and science fiction universes is theater. I’ve been a passionate fan of musical theater and a few plays for decades and my wife and I have been known to schedule almost all of our vacations around trips to New York City or London to see shows. Whether you too are a theater fan or just curious about that universe, I’ll be bringing my theater reviews here to Gabbing Geek just as often as I can see the shows. Next up is the intriguing story of a musical where everything, and yet nothing, works. Come read more about The Bandstand, currently playing in New Jersey but transferring to Broadway next year. And it’s an appropriate show to discuss today on our Veteran’s Day here in the United States as the show deals with an important topic for veterans. Although Gabbing Geek tends to cover more traditional geek fare we’re also dedicated to geeky subjects of all kinds. My geekiest obsession that falls outside the expected movie, comic book, and science fiction universes is theater. I’ve been a passionate fan of musical theater and a few plays for decades and my wife and I have been known to schedule almost all of our vacations around trips to New York City or London to see shows. 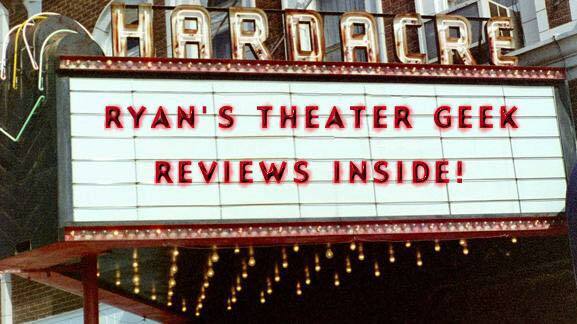 Whether you too are a theater fan or just curious about that universe, I’ll be bringing my theater reviews here to Gabbing Geek just as often as I can see the shows. 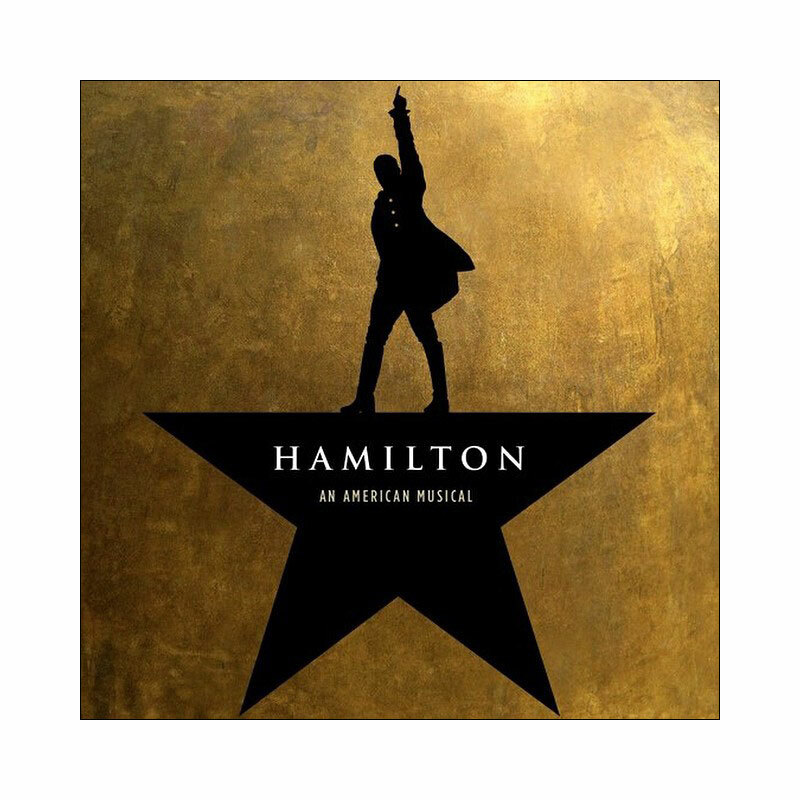 First up is the grand-daddy of them all: Hamilton. Jump after the break to find out why this show is taking Broadway and popular culture by storm. 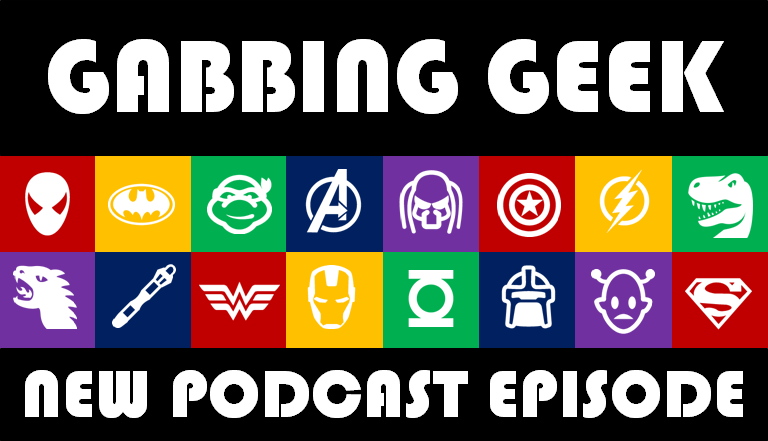 Watson and Ryan hold down the fort for Episode 54 of the Gabbing Geek podcast while Jenny recovers from Tiredofputtingupwithalltheircrapitis. It’s going around. So the Y chromosomes talk about Star Wars, Hunger Games, Mars, Alexander Hamilton, movie villains, and the summer of 2016 in movies. You should listen to it right the heck now, or jump after the break to read even more! 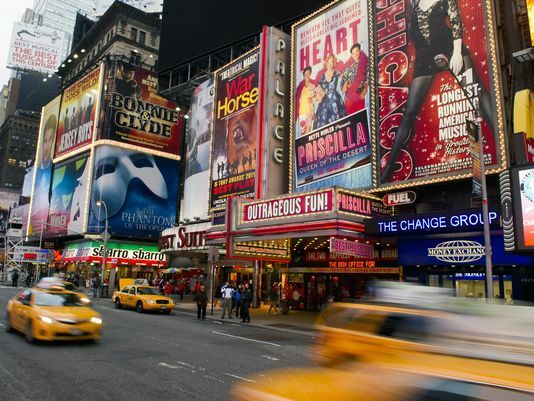 Fun Fact: Only one of the shows in this picture was decent and yet despite all the billboards advertising Broadway performances Watson will only see the now-closed Sbarro and lament its untimely death. Watson hinted he might be too busy to complete his regularly scheduled box office analysis so I eagerly jumped into the fray to fill the void. Mostly because it has been far too long since our weekly analysis has covered the box office that really matters: Broadway! Find out all the jazz-handy details after the break! My wife, Sara, and I are huge theater nerds that frequently hit New York to see as many shows as we can. Here are the results of our latest theater run, for those interested.